During the middle 1870's, when the great logging era of Northern Wisconsin was in its infancy, the Mississippi River Logging Company attempted to float pine logs down the Soft Maple and Potato Creeks to the Chippewa River but the streams were too shallow and crooked. 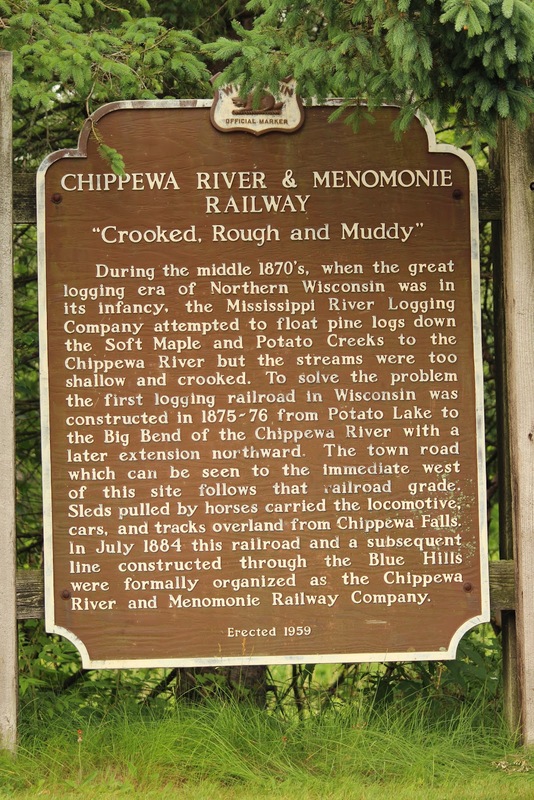 To solve the problem the first logging railroad in Wisconsin was constructed in 1875-76 from Potato Lake to the Big Bend of the Chippewa River with a later extension northward. The town road which can be seen to the immediate west of this site follows that railroad grade. Sleds pulled by horses carried the locomotive, cars, and tracks overland from Chippewa Falls. 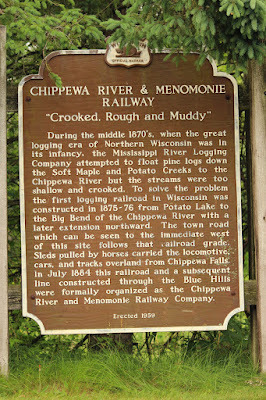 In July 1884 this railroad and a subsequent line constructed through the Blue Hills were formally organized as the Chippewa River and Menomonie Railway Company. 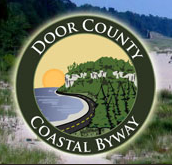 The marker is located at a highway pullout on eastbound U.S. 8 / County Highway F, just east of its intersection with Historic Road and just west of its intersection with North 2nd Street, Weyerhaeuser, Wisconsin 54895.